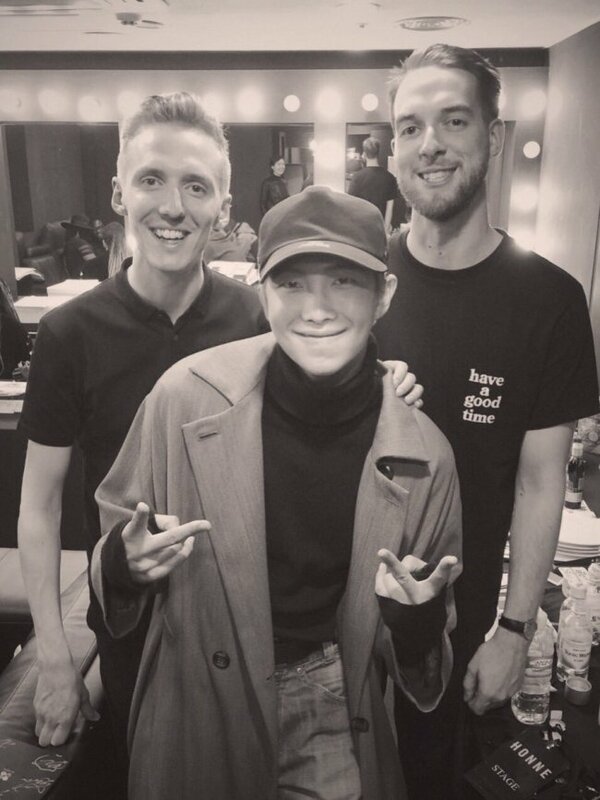 English electronic music duo HONNE announced Tuesday the release of its second musical collaboration with RM, the leader of K-pop band BTS. The duo posted images reading the lyrics of the new song on its official social media accounts, under a note, "27.03.19", the date of the song's release. It was signed with "HONNE X RM" at the bottom. The new song adds rap lines by RM to HONNE's 2018 song, "Crying Over you," off its album "Love Me / Love Me Not." "Now I don't like a cliche, but I'm reading from the same book all over again," the song begins to explore the randomness of human life. In a press release through Warner Music Group, HONNE said it hoped to have a rapper for the song, adding that it is pleased to add a layer of new sentiment to the original version. Warner Music said the two sides started their friendship during HONNE's Korean tour after BTS mentioned HONNE's music online in 2015. It is the second joint work between the two after HONNE participated in composing and producing "seoul," a track off RM's latest solo mix tape "mono.," released in October.